Embeddedness and local cultures and contexts are key in the development of entrepreneurship. Embeddedness is cultural, territorial and networked. All these aspects have to appropriately translate into entrepreneurship education, training and curricula. Entrepreneurs must be able to understand and translate values and culture, as well as the knowledge of their territories, into their work and practices. 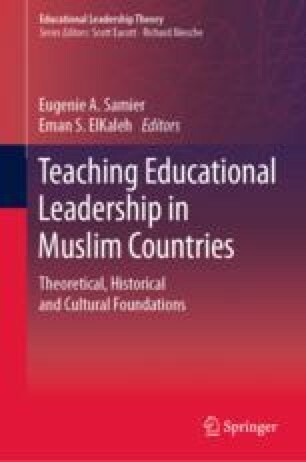 After a literature review, this chapter showcases these principles through the example of Islam as a cultural foundation for Arab countries and societies. Leadership and policies may have a great role in encouraging these processes and designing appropriate policies and regulations sustaining entrepreneurship education in line with national needs and aspirations. The example of Qatar is presented in the chapter as a useful one to this extent. The Qatar National Vision 2030 indicated the path to follow with the need to diversify the economy through entrepreneurship development in the country. In a global world, entrepreneurs must be both embedded in local/national realities, capable to respond to social needs, but also able to integrate global markets and value chains and compete with other entrepreneurs. This is a challenge for which embedded values and moral behaviours may be useful in the end. This publication was made possible in part by NPRP grant #10-1203-160007 from the Qatar National Research Fund (a member of Qatar Foundation). Tok, M.E., & Kaminski, J.J. (2018). Islam, entrepreneurship, and embeddedness. Thunderbird International Business Review. https://doi.org/10.1002/tie.21970.